Most of Facebook users love to share videos on their timeline. Actually this is a unique style to reflect glimpse of your precious moments of life in front friends that are connected over internet. But if you want to add watermarks for your personal or adventurous videos then it is good to start with Facebook supported software tool that complete editing task with ease. Here are few details that can help you to make watermarked images/videos clearer. First of all you must be aware about what a watermark is? In simple words, watermark use to be a message in form of signature stamp or logo that is superimposed on actually photo or video and it follow great transparency. That means your video or stills can be easily visualized below this watermark. Users reveal that watermarks are quite important and for video editing, especially if you are developing a video on behalf of your company and want to promote its brand and services. It helps to keep your creative material safe over internet that means it cannot be processed ahead without permission of user. It is much easier to improve awareness about your brand, products or services using watermarked videos for promotion. Use a well designed logo with funny, attractive pictures into your presentations or videos. Your selection must be capable enough to provoke positive thoughts in viewers mind and this content must appeal so engaging on social media. Watermarks have their own unique impact on videos and it can make your brand popular among users or viewers. Besides, it is a must if you want to protect your brand or product. It means where the image/video comes from afer you add watermark, which means others can't use it freely and they must have yor permission. Another thing you need to know is the position of watermark is so much important. It is OK to put it at the center if you want to protect it, but have you ever thought beauty. It is adviced to put watermark at the corner of the photo and video. In this way, the watermek won't interrupt the whole image and video when viewing. First of all you have to upload your photos from your computer to this editing tool. Now get your desired watermark and apply it on your original video. 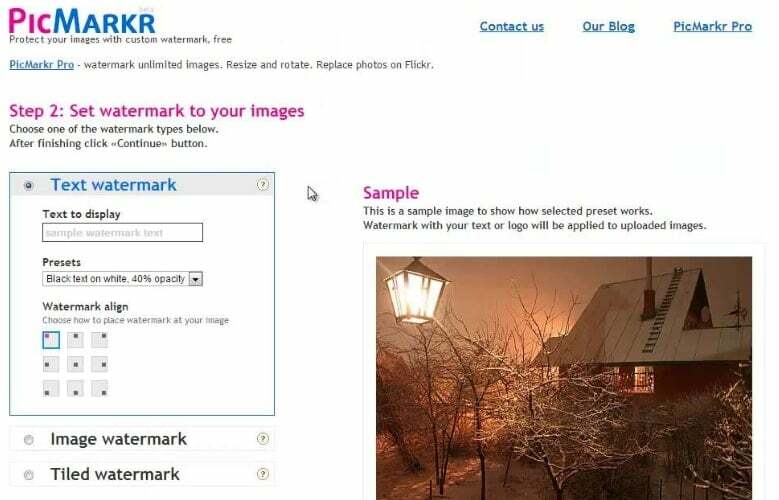 Users can make selections for appearance of watermark by making selection for Tiled, Image or Text type. 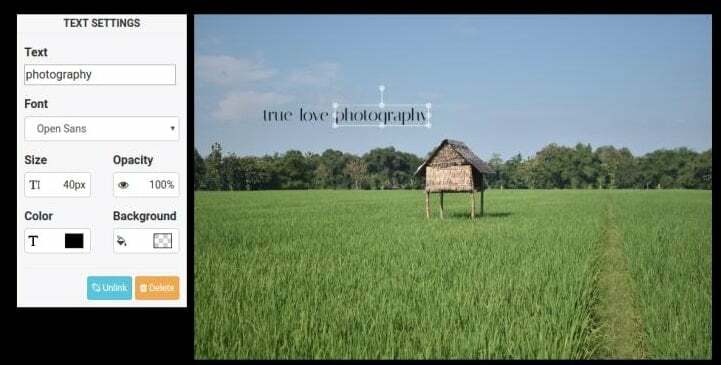 As soon as you have applied your watermark effect to your original photo file then it is time to export it back to computer folder. Users can also upload it directly to Facebook or any other popular social media platform. This software tool on browser so, you need not to download it on your device. Hence, you will be able to save your device memory for other things. Its interface has been designed with user friendly system with dozens of options to add customization. This can be edited on the basis of their position, color, size and font etc. With its basic as well as professional versions you will be able to do lots of incredible things with your photos. And the best part is that while working online over browser, this tool provided IP based protection to every user. It can create text based and logo watermarks. There are so many pre built templates with stylish appearances. Colours, fonts and positions can be easily adjusted. This software tool can be accessed to process almost all popular media file types and while adding watermarks to photos, it can also change their format to any desired format selection. 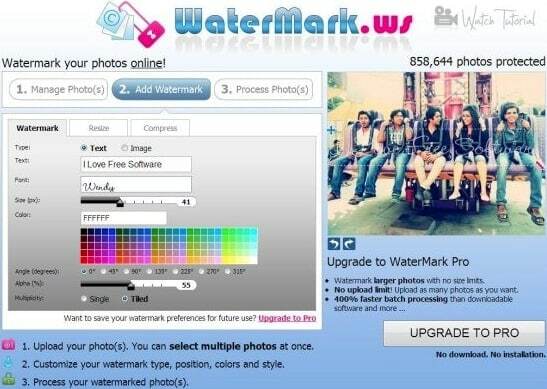 It is also possible to batch your watermarked photos over internet. This tool is being commonly used from development of educational tutorials as well as for entertainment and business promotion needs. Set watermark properties such as font, position, effects and box around text. Preview the watermarked image and click Watermark Images if everything goes OK. This software tool provides wide range of elegant tools that can develop timeless, effective and attractive watermarks on photos. It offers user friendly editing platform where logos or signatures can be easily added to photos so that protected or copyright secured stills can be uploaded to social media. There are dozens of options for watermark customization and they can be edited by adjusting color, font and position etc details. The best part is that users can also customize their watermarks with different language options. Edit it using online editor tool. 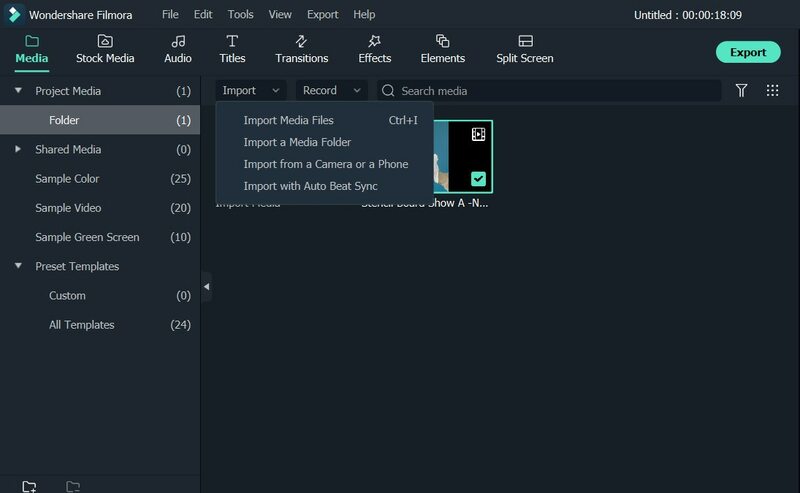 Export your updated photo back to computer or save it on cloud. If you want to protect your images with additional brand logos or signatures then Convertimage.net can help you to enjoy customization. This tool help to create perfect blending of images with logos and they can be adjusted to definite location with specific size and position. It makes watermarks completely transparent so that content below it stays truly visible to audience. The best part is that Convertimage.net can also help you to use PIP effect so that your images can stay protects with copyright. First of all get your ConvertImage.net tool for any trouble in smartphones. Now import your watermarked image to software platform. Select the original picture adjust watermark over it. 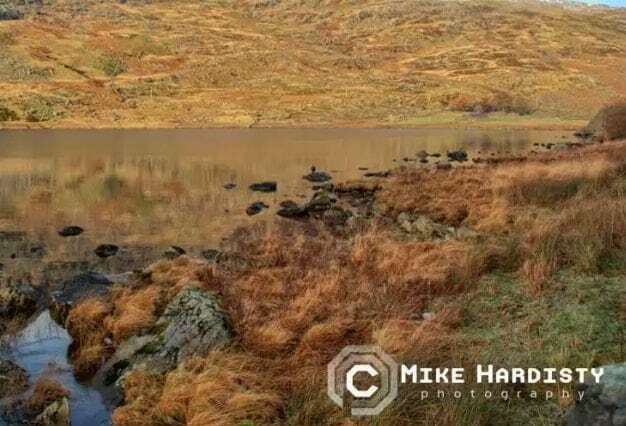 Adding watermark to photos in an easier task and probably most of you must have tried this trick, but what if you are asked to add watermark on Facebook videos? It may appear quite difficult for first instance but if you have right tools to do such task then it will become a fun for you. If you are ready interested to add watermark to your Facebook videos but do not want to spend time on a time consuming software tool then it is good to install Wondershare Filmora9 on your device. This software can fulfil all your needs and the best part is that it can process almost all popular media file formats. Step 1: First of all get your software downloaded on your system and then install it. Once it is launched on your system then move to New Project. Step 2: It is time to import your desired video file to media library and also your watermark image. 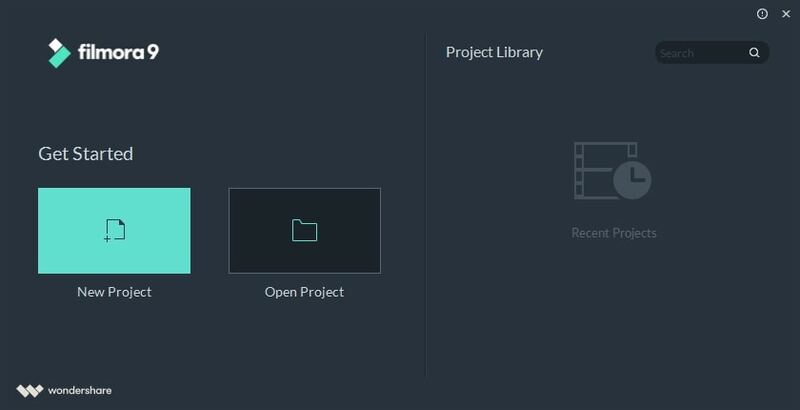 Users can add both these files to Filmora timeline by simply using Import option from top bar. 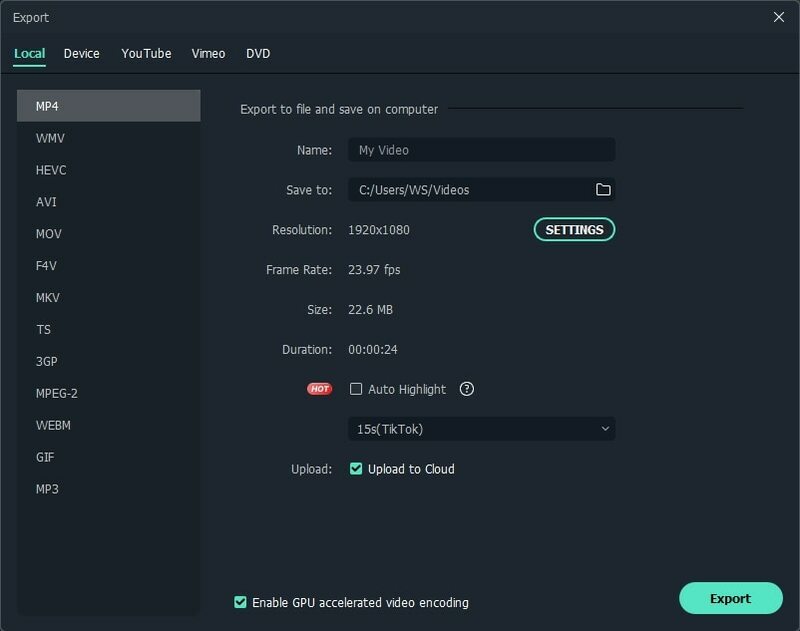 It will help you to pick your collection from computer or one can capture new videos using webcam and then get them loaded to media library. Your media files can be in any format like JPG, BMP, AVI, PNG, WMV and MP4 etc. Step 3: It is time to add watermark image as well as original video to timeline. 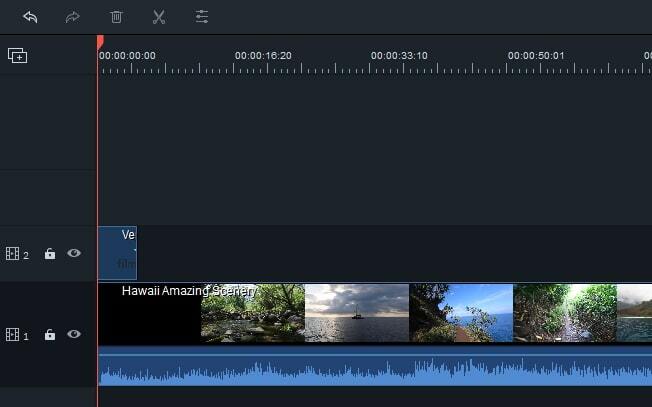 The first track on timeline must contain your original video that you are going to edit whereas the other timeline will hold watermarked image that can be directly dragged and dropped from media library. Step 4: Now increase duration of your watermark image and make it equivalent to your original video clip duration. In order to accomplish this task, simply keep your mouse at ending point of watermark image and wait for the “double arrow” to appear on screen. As soon as this cursor appears, drag your image up to duration of your background video. 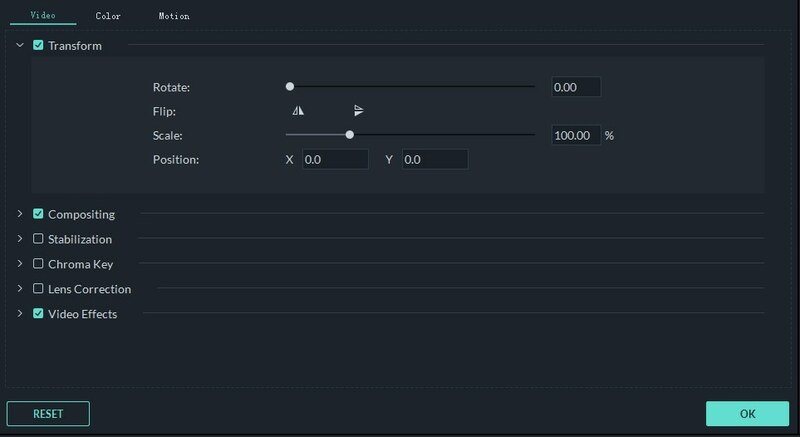 Motion: It will offer you 30 unique motion effect selection options that can help to animate your watermark. Whenever you select any motion to your watermark then software will indicate its effect on screen. Position: Users can easily drag their watermark on any portion of video using mouse and place it at any desired location. Size: Simply drag handles of your watermark image and then resize your watermark as per need of your project. Go to advanced tab if you want to edit effects and mask of your PIP window. Mask: Check all available shapes for your watermark appearance and then double clip on desired shape. Users can also make adjustments for width and height of watermark. Effect: Using this tab, you can add various effects on your watermark like alpha changes, flip, rotate, transparency, blur, shadow and border etc. Step 6: It is time to prepare uploading your edited watermarked videos on Facebook. To do this, simply hit the Export button available on your timeline. It will take you to the output window where you can export video to MP4 format, and then hit the Export button. As soon as your export process is over then you can click over the link or use Find Target button on screen and it will immediately lead you to your recently updated watermarked video. It is also possible to save watermarked videos in any desired format on PC itself or users can also transfer them to external storage device like DVD.